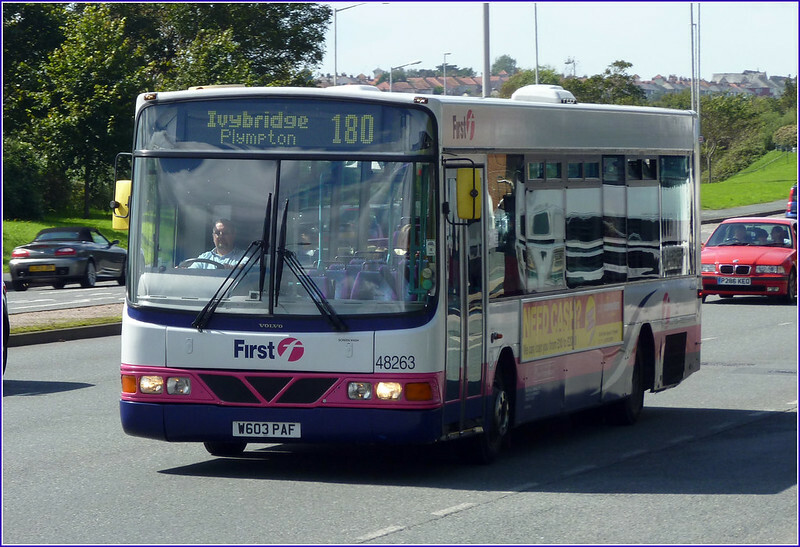 Cancellation Accepted by SN: Operating between Plymouth, Bretonside Bus Station and Ivybridge, Cole Lane given service number 180 effective from 19-Apr-2014. Clopper, Clipper, Freebee, 3B, Gone  There is huge doubt about how much this will "save". Old crusties will simply travel later on bus and tram saving the authority nothing; and they will stop travelling by train and go by bus. Council check: Blackburn with Darwen Borough Council How good is public transport information being provided by Blackburn with Darwen Borough Council? Clopper, Clipper, Freebee, 3B, Gone  But in Sheffield, after a gap of 67½ years, a city centre circular bus route started. Called the "City Clipper" after a naming competition in the Sheffield evening paper, The Star, it ran from Central Bus Station to Moorfoot. The fare was 2p and was collected, uniquely for Sheffield, via "basic" cylindrical fare boxes. Metroline CELF Centre Part 43 The introduction of new Routemasters on the 390 was the catalyst that triggered a fleet shuffle within the Metroline fleet particularly concerning their Holloway and Potters Bar Garages. Take a “Farewell Tour” around the Tube Network there will be a sort of tube-geek joy in seeing the wrong train on the wrong lines at least for part of the tour. These events tend to be a bit weird, a very long commute on a train lasting a very long time, but they can be quite good fun, and a very rare chance to do such a thing. Velvet to vanish? / Totton evening buses diverted: Velvet wanted to sell, Xela wanted to buy. A deal was signed, but then Xela exercised their right to withdraw from the deal at the last minute. Reregulation / Long distance diversions A reminder in the Sunderland Echo that the argument over how bus services should be run is still raging in Tyne & Wear. Nexus, the regional transport authority wants to have the same power over bus services as Transport for London. Clopper, Clipper, Freebee, 3B, Gone  Travel South Yorkshire was delighted to be at the heart of the first ever FreeBee bus. Launched in Sheffield city centre in October 2007, it continues to be a rip roaring success and a real customer favourite. Which is why we are withdrawing it. THE BUXTON SPA EXPRESS At last The Railway Touring Company have managed to run The Buxton Spa Express on Saturday 15th March 2014.
: Six operators (really, five) and one authority persevere with the 12-hour clock style. One is Brighton & Hove and another Trent Barton. They both must have a Really Good reason for doing so. Alexander Dennis secures £100m National Express order. Bus manufacturer Alexander Dennis Limited (ADL) has signed a £100m deal to produce 600 vehicles for National Express over the next five years. The vehicles, which will be a mix of double deck and midi buses, will join National Express's fleets in the West Midlands and Dundee.